Letter to Deepika Padukone from dad Prakash is now in school textbook. This letter found its way to news pages, and now it is part of a school curriculum. 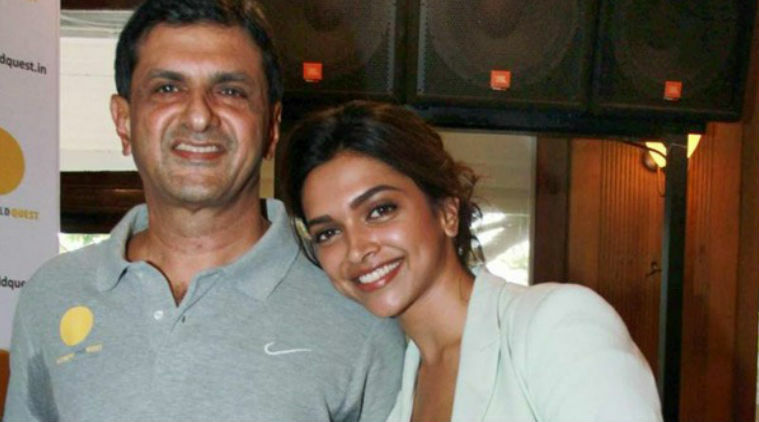 Deepika Padukone, early in her career, got a letter from father, badminton champ Prakash Padukone. The letter was more a map on how to navigate a life in the limelight and yet keep your head firmly screwed to your shoulders. The actor, while accepting an award, had read out excerpts from the letter and it had immediately gone viral. The letter has now been included in English curriculum of a school. After a fan posted about this on Twitter, Deepika retweeted this and wrote, “Wow”. The letter earlier made it to a book of inspiring letters. Prakash had written it to both his daughters, Deepika and Anisha, and asked them to love what they do, be game-changers and still understand that at the end of the day, it is family and friends that matter. As you stand on the threshold of life’s journey, I want to share with you some lessons that life has taught me…. Looking back, I realize that the most important thing about my childhood and adolescent years was my refusal to complain about my lot in life…there is no substitute for perseverance, hard work, determination, and passion for what you choose to do. If you love what you do, nothing else matters — not awards, nor compensation, not even the gratification of seeing your face in newspapers or television. 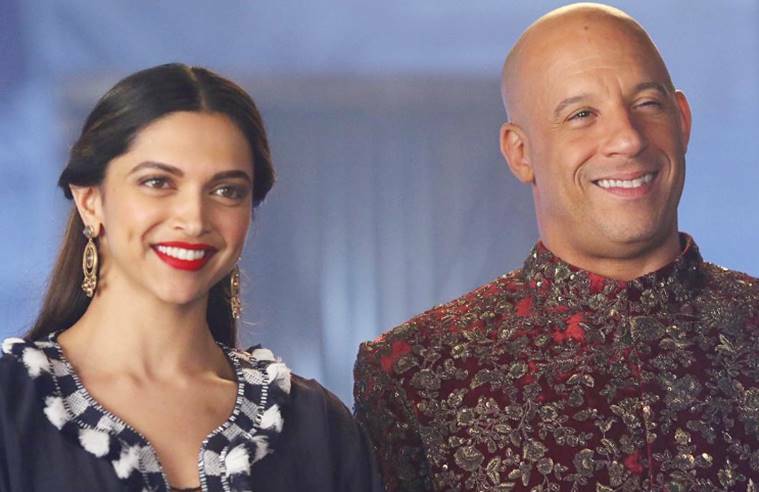 Deepika, we know that you are in the film industry because of your love for it. Early on in life, even as a child of nine or ten, we knew that you were meant for modelling and to be under the arc-lights. You were a natural. Even so, at eighteen, when you told us that you wanted to shift to Mumbai to pursue a career in modelling, it was hard for us to come to terms with the decision. In the end we decided to let you follow your heart, like my father had taught me all those years ago, as the only way to live fully. I was fortunate that my father gave me the freedom to follow my passion for a game which held very little promise of ever making money. His approval changed the course of my life. Had he forced me, I would have been a miserable, average engineer plodding through life. When the time came for you to make a decision about your future, we thought it would be cruel to not give our child the opportunity to pursue a dream that she lived and breathed for. If you succeeded, it would make us proud, but even if you didn’t, you would not have any regrets that you did not try. In the last few years, we have seen you mature into a young woman who has her head on her shoulders. Maybe it is a result of the responsibilities that came your way at an early age. Sometimes parents underestimate their children’s capabilities which brings me to my other belief: you can either like what you do or you can be passionate about what you do. If you only like what you do, you will become an average player, but if you love what you do, there is every chance that you will excel at it. For then, no hardship, no sacrifice will be too much to achieve your goal. Anisha, you want to be a professional golfer and I know you will let nothing come between you and that dream. At sixteen, when I was representing the country in badminton, I travelled second class and often in unreserved coaches on trains, sitting, eating, and sleeping outside filthy toilets in the train for a couple of days simply so that I could reach the training camp and better my game. I see that passion in you. I don’t know too many young people who work sixteen hours a day and I see that the fruits of that passion are already coming your way. I have learned that you can’t always win in life, that everything you want might not come your way, and events don’t always turn out as you want them to. You have to learn to take life’s ups and downs in your stride. Looking back… Even during the toughest times, I focused on what I had, instead of dwelling on what I did not. Thus, at the end of my career, I had no regrets, or any desire to ever return to the game, for I knew that I had truly given all to my passion. …I believe it is best for children to work hard to make their dreams come true and to not have things handed to them on a platter. And it makes us immensely proud to see that both of you have followed our counsel and are making things happen for yourself. When you are home visiting us, Deepika, you make your own bed, clear the table after meals, and sleep on the floor if there are guests at home. At home, you are not a star, and that is because we have taught you to be rooted in reality at all times. If you occasionally wonder why we refuse to treat you like a star, it is because you are our daughter first and a film star later, and we want you to remember that you have to eventually return to the real world. Dear Deepika, you are in an industry where there is much negativity, but I hope that you are the game-changer in it. If you can live your life without harming anyone, or talking badly about anyone, you can set an example for others. Often you will find people who will lie and say untruths about you, but remember never to retaliate or talk their language. If what they say is untrue, ignore it. And if it is true, use their criticism to improve and transform yourself. The things that really matter in life are relationships, honesty, and respect for your parents, and elders. Material success is important, not fundamental to happiness and peace of mind. I can’t tell you enough about the rejuvenating power of prayers and a little faith. You know it, of course, because offering prayers is a long-standing tradition in our family… (S)pare a few minutes of your day, even if it is just twenty, to close your eyes and meditate, to think about God and you will see how much that faith in His power will strengthen you. In the end, when your career is behind you, what remains with you and for you is family, the friends that you have made who will stand by you. Live a life that is healthy, my children, and one that will allow you to live with your own conscience. Everything else is transient. And remember, no matter what, we are always going to be there for you. Be the first to comment on "Letter to Deepika Padukone from dad Prakash is now in school textbook."